"It is well settled that legal fees are not recoverable unless provided under the terms of a contract or authorized by statute." See, U.S. Underwriters Ins. Co. v. City Club Hotel, LLC, 3 N.Y.3d 592, 597, 789 N.Y.S.2d 470, 822 N.E.2d 777 . When the contract between the parties provides for the recovery of their legal fees. So, you may be wondering, how specific do you need to be, or what language do you need in your contract, in order to recover legal fees? Fortunately, New York's Appellate Division, First Department recently provided us with some guidance on this issue. In Nigri v. Liberty Apparel Co., Inc., the plaintiff sued to recover their damages for breach of contract, and the defendants counter-claimed to recover the legal fees they incurred in defending the action, as well as in prosecuting their own counterclaims under the agreement. The trial court found in favor of the defendants, not only dismissing the plaintiff's breach of contract claims, but also found that the defendants were entitled to recover the legal fees they incurred in defending the action. Not surprisingly, the plaintiff was displeased with this outcome, and therefore appealed the trial court's order. "The parties' contract provided, in pertinent part, that the plaintiff would pay certain Guaranteed Obligations, which were defined as one-half of all claims, actions, litigation, and other liabilities, costs and expenses (a) in [certain pending legal actions, including a customs matter] and all out-of-pocket expenses (including reasonable attorneys' fees and disbursements) incurred by [defendants] in enforcing or collecting upon [the] Guaranty." "[T]he clause 'all claims, actions, litigation, and other liabilities, costs and expenses' constitutes broad language that is generally interpreted to include attorneys' fees." First, if you anticipate that your legal issue will not provide for the recovery of your legal fees in the event of litigation, it would behoove you to include such a provision in your contract. Otherwise, you will be depriving yourself (needlessly) of the opportunity to recoup a substantial amount of money, as well as leverage in negotiations later on. Second, in order to limit the litigation that may be needed down the line (and unlike the defendant in Nigri), it is worthwhile to avoid any ambiguity on this issue; make sure that the language in the contract makes clear that the prevailing party will be entitled to recover their legal fees. 1 Comments to "How to Recover Legal Fees in a NY Breach of Contract Case"
Are attorney fees recoverable under New York State Navagation laws from oil company’s overfill and spill. 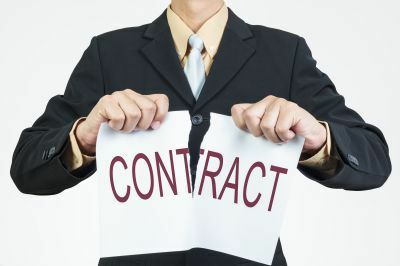 Post a Comment to "How to Recover Legal Fees in a NY Breach of Contract Case"